You can rely our descriptions of the models, kits, engines, accessories here for sale are accurately portrayed. 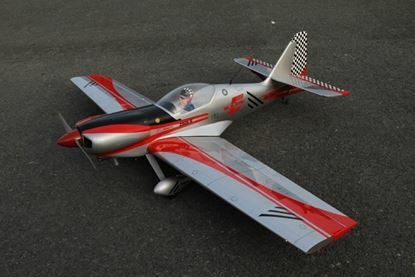 Unlike other sources you won’t find any oil soaked or rebuilt wrecks here, most are either new or little flown models from knowledgeable ‘builders’ majority with a known history so no nasty surprises. One of those models that started all! Relatively recent build ARF from the popular Seagull range with just two flights, finished in an attractive sun burst and stars colour scheme which is in Ora cover. Power is provided by a as new Zenoah 38 fitted with a C&H transistorised ignition system. Futaba 3005 and 3010 metal geared hi-torque servos on the all flying surfaces. 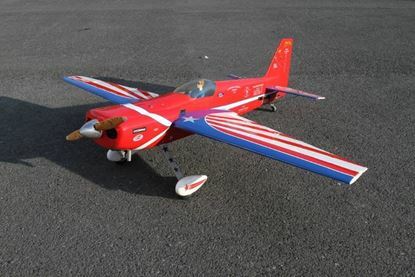 These models are of strong construction and fly very well, , two piece wing for easy transport, this one is very tidy and easily rates an 8/9.